Product contains milk and wheat. Produced in a facility that also processes egg, soy, peanuts, and tree nuts (pecans, almonds, coconut, cashews, walnuts). 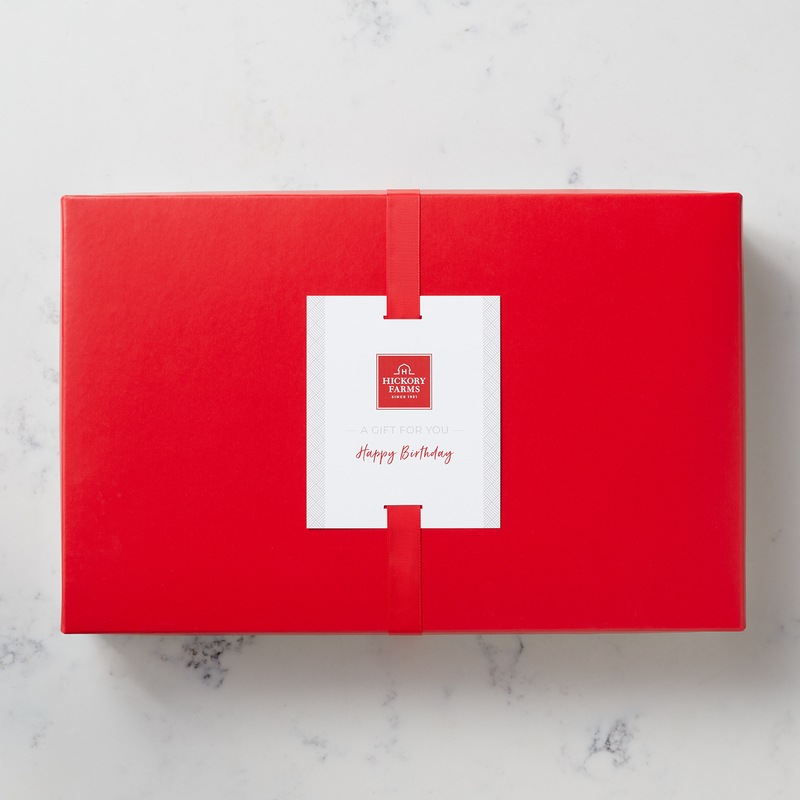 This gift box is full of delicious foods made from top quality ingredients and ready to share. 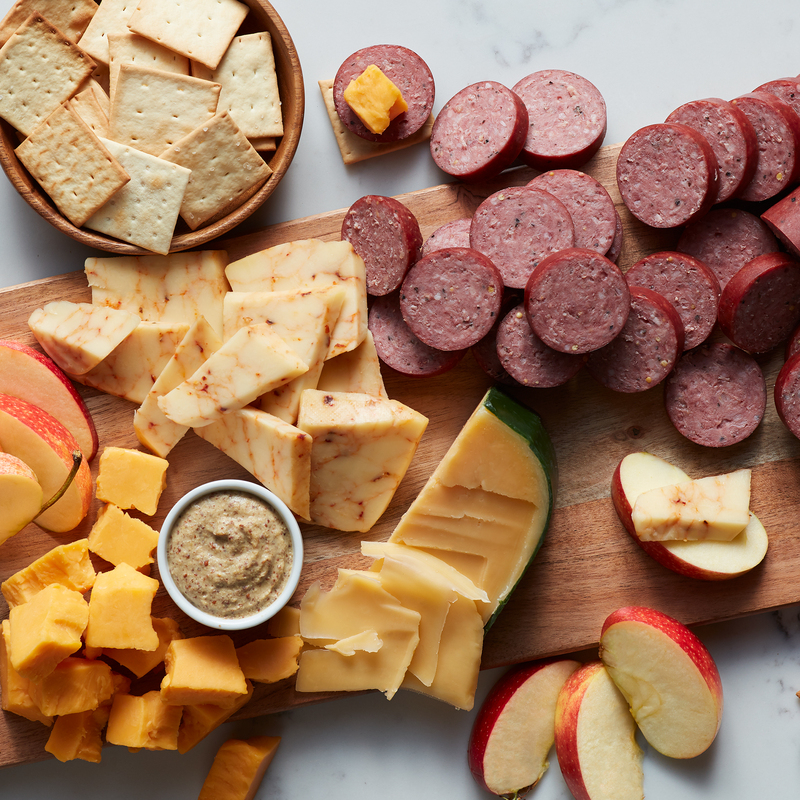 Start with All-Natural Beef Summer Sausage then add one of the three delicious cheeses. Stack on a cracker and top with one of our bold mustard flavors. 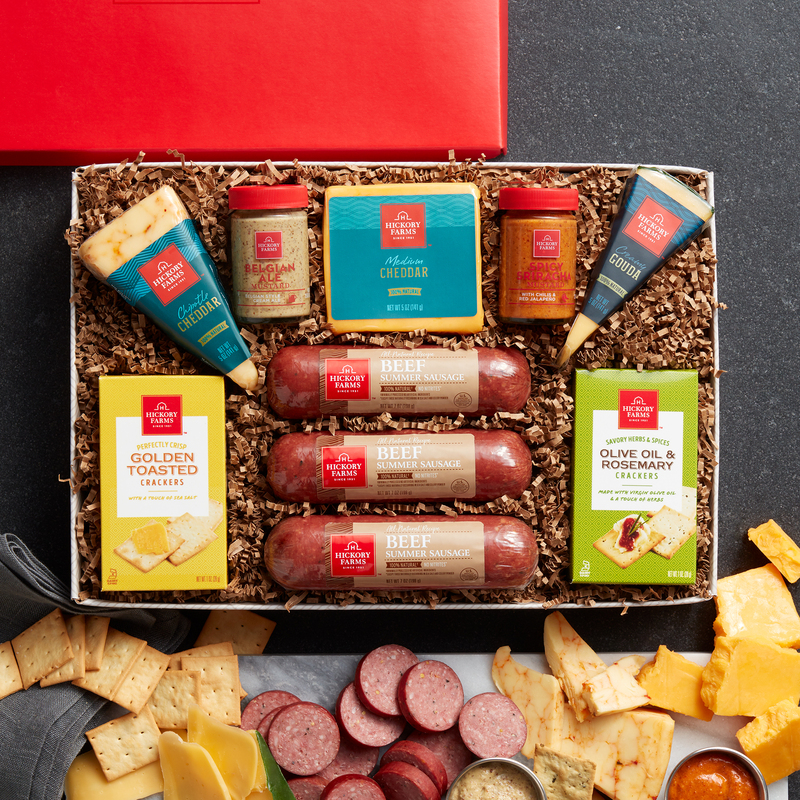 Anyone who enjoys delicious and hearty snacking would love this delicious gift. To ensure that your item arrives in perfect condition, we will ship your gift Monday - Thursday for delivery within the same week. Saturday - Monday delivery is not available for this item. Not available to ship to P.O. Boxes, PR, GU, VI, Canada, or Military. Perishable Items can only ship to AK & HI 2-Day Delivery or Overnight. Cannot ship to correctional facilities. Refrigerated items may ship separately.